Product #5711 | SKU FXA10311 | 0.0 (no ratings yet) Thanks for your rating! For D40, D40X and N65 cameras. 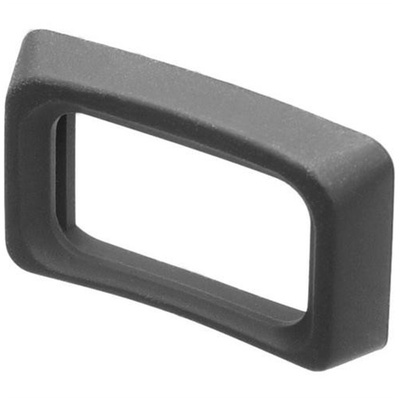 The Nikon DK-16 Rubber Eyecup for Select Nikon Cameras is a viewfinder frame for select Nikon DSLR and SLR cameras. This eyecup is intended to prevent stray light, which could make focusing and composing an image difficult, from coming in between a compatible camera's viewfinder and the eye it is held up to. The cushioning it provides serves to promote comfort during use as well as to protect the surfaces of eyeglasses or sunglasses if they are worn while holding a compatible camera up to one's eye. Box Dimensions (LxWxH) 2.0 x 2.0 x 0.6"